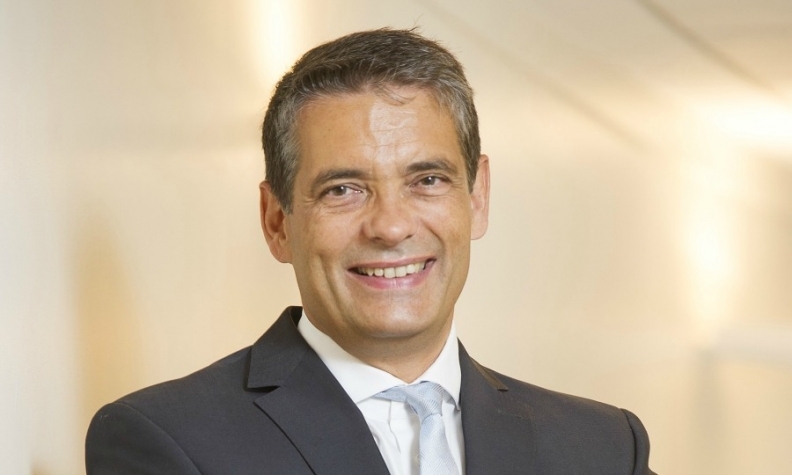 Stefan Mueller: "We are constantly evolving." Renault aims to be Europe's No. 2 brand by unit sales after Volkswagen, a goal that Opel CEO Karl-Thomas Neumann also has set for his brand. Renault Europe Chairman Stefan Mueller spoke with Automotive News Europe Correspondent Jennifer Clark about how Renault will get there. What are Renault's targets in Europe? We have a clear goal: to be Europe's second-largest brand by 2017. We want to do that by increasing our profitability. Our 2017 goal is to achieve a 5 percent operating profit margin on a 50 billion euro turnover. How will you get to No. 2? We are rejuvenating our lineup with the Clio and Captur. We have done very well with them. We also are introducing higher-margin models such as the new Trafic van and the new Espace. We will need other products beyond these four cars to achieve our profitability. Will the fast-growing Dacia brand help? With Dacia, we don’t expect to continue with this level of growth every year, but our target is for Dacia to be No. 1 in its entry-level category in 2017. How do you see the European market developing in the next five years? We believe the market hit bottom in 2013. I see positive signs in Germany, the UK and Spain. But in other markets, I see a lot of question marks. For planning purposes, we assume the market will be flat for the next five years. We aim to get ever leaner in process and cost management. We expect things to be better, but do we have it in our planning? No. MAIN CHALLENGE: Boosting Renault's vehicle sales in a stagnant European market. The new Twingo minicar is low-margin. Will that hurt your bottom line? Yes, it will impact our bottom line. The Twingo is not a high-margin car, but we will still earn money with it. Will the Twingo take on Fiat’s 500 at the higher end of the segment? The 500 is a competitor, but there are a couple of cars in that segment. I would like to see the Twingo in the No. 2 spot in this segment. But we won’t do anything just for the sake of volume. How will Renault promote the new Twingo’s rear-wheel drive in its marketing campaign? Not as a stand-alone feature, but as an integral part of making the car bigger inside while still being 10cm shorter. It also has a higher seating position. And it has a tighter turning radius than any other little five-door car. That makes it unique. 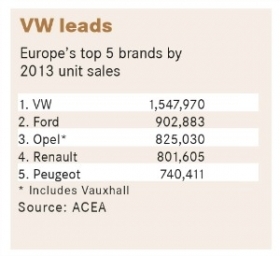 Do you see rising car sales in Europe helping to cool down the price war? The price war is different from country to country. In Germany, it’s very strong. I hope it cools down, but I haven’t seen any signs of that yet. Western European sales rose 6 percent through February. Will we see that figure at the end of the year? No. But we’ll see growth. Will it be costly to reach the EU’s tougher CO2 targets for 2020? Right now we are at 115.9 grams per kilometer, and European automakers need to get to an average of 95g/km. The cost is too confidential to share. How will electric cars help to reduce Renault’s fleet CO2 emissions? For automakers to meet the 95g/km average there is no way around electrification. We believe that with battery prices going down, the total cost of ownership will come down maybe even without government intervention. We’ve started introducing our electric cars. Now we want to grow market share. We have the most attractively priced product, at 15,200 euros [the Renault Zoe]. The infrastructure is still not where it should be, but it has doubled. What is Renault doing to boost transaction prices? We have increased transaction prices by more than 7 percent in the last 24 months. We achieved that with attractive new product such as the Clio and Captur. We also worked a lot on the professionalism of our dealer network. We are constantly evolving.